Califone's 3066AV headphone is their most rugged headphone. 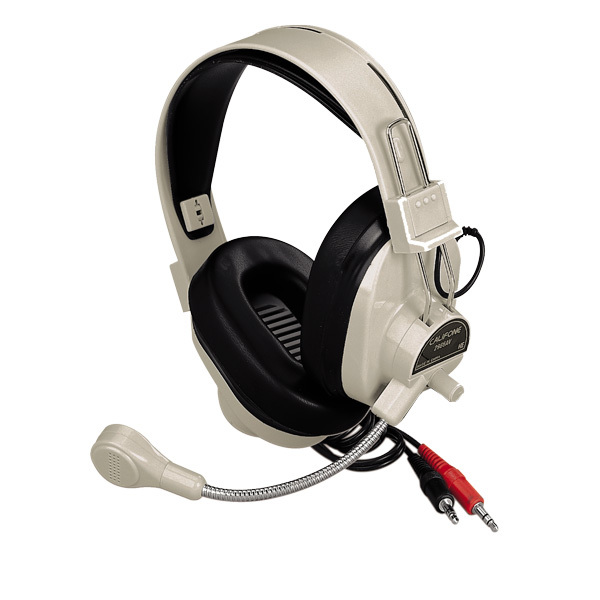 Designed for language learning in today’s classrooms, the Califone 3066AV headphone is compact and adjustable. Ideal for language learning and tutorials in computer labs and other multimedia applications such as internet telephony. • Flexible metal boom microphone. • Volume Control on Earcup. • Replaceable Leatherette Ear Pad. • Compatible with any computer that has both a 3.5mm headphone and microphone jack. .